The Guilt Trip is a comprehensive online shop that offers a massive selection of men’s and women’s clothing and accessories from leading designers. Apparel, jewellery, bags, eyewear and home décor products can be found with ease at this online store and all are offered at prices more competitive than that of their rivals. The Guilt Trip also offers its loyal customers the opportunity to realise exceptional discounts through CouponSpy.in for the month of April 2019. The Guilt Trip is a venture undertaken by Luxury Retail Services Pvt Ltd. With over 10,000 products in their range, The Guilt Trip is way ahead of its competition on all levels and this is one of the main reasons, apart from their excellent pricing, why they lead the field at the moment. The ‘men’ menu offers clothing, watches, eyewear, bags, gadgets and home décor items for the discerning man. The ‘women’ menu offers a similar selection as that found in the men’s menu and the ‘home décor’ menu showcases vases, candles and clocks that will brighten up any room. The ‘gadgets’ menu has a variety of funky phone covers and cases at affordable prices. The ‘designer’ menu highlights all the designers that fall under The Guilt Trip wing and the ‘brands’ menu does the same. The Guilt Trip utilises premium couriers to deliver their goods and all shipping is free to customers in India. The first requirement is to visit CouponSpy.in and locate the discount code or promo code that is linked to your purchase at The Guilt Trip online store. Once you have located this discount code, write it down and then go and do all your shopping at The Guilt Trip store. 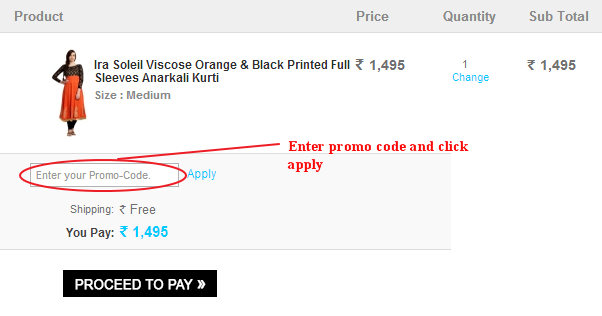 When you reach the checkout stage of the purchase, redeem the discount code in the clearly marked discount field titled ‘enter your promo code’ and then click the ‘apply’ button to have the discount deducted from the purchase total. After that step is complete, finish the payment phase of the transaction and then wait for you goods to be delivered to your doorstep. The Guilt Trip has a liberal return and exchange policy. If a customer receives defective or damaged goods, they can be returned within 7 days from the date of receipt. And get the latest The Guilt Trip coupons emailed! Share your The Guilt Trip coupon now!